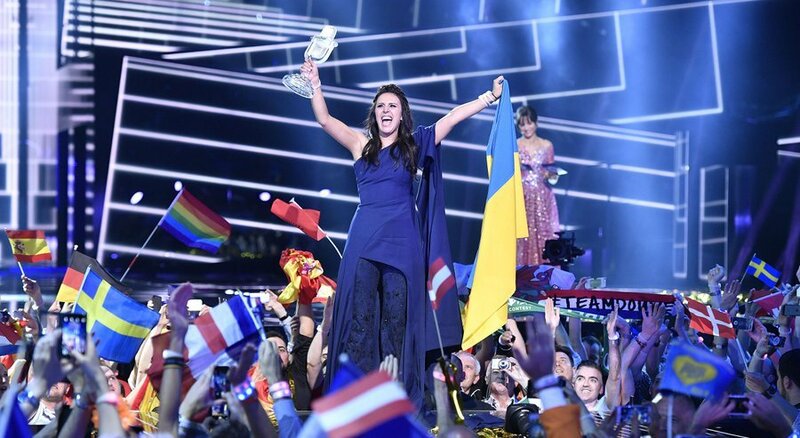 Ukrainian singer Jamala has won the 2016 Eurovision Song Contest, held in Stockholm, Sweden. Ukraine scored 534 points with Jamala’s song 1944 – about the deportation of Crimean Tatars under Josef Stalin. Australia finished second with 511 points, while Russia – which was the favorite going into the competition – was third with 491 points. Jamala is the first ever Crimean Tatar to perform at the Eurovision Song Contest and caused controversy ahead of the show over her political song. 1944 references the year when Josef Stalin deported almost all of the ethnic group from its native region of Crimea in what was then Soviet Russia (later to become part of Ukraine). Jamala had dedicated the song to her great grandmother who was forced to leave along with a quarter of a million Tatars, as a collective punishment for those who had collaborated during the Nazi occupation. The song had been expected to finish in the top three but in a surprise result beat favorites Russia, which annexed Crimea from Ukraine in 2014 and had been angered by the song. This year, organizer introduced a new scoring system was introduced this year, providing separate scores for each country’s jury and public votes, rather than combining them as in previous years. At the half-way point after the juries’ votes had been counted, Australia – which had been invited back to perform after last year’s 60th anniversary celebrations – topped the scoreboard with 320 points and a firm lead over Ukraine’s 211 points. However, Dami Im’s Sound of Silence failed to strike the same chord with the public and was voted the fourth most popular song overall. It allowed Poland, which was in penultimate place with seven points from the jury, to leap to eighth when the public’s 227 points were taken into account. Germany’s Jamie-Lee finished in last place as her song Ghost received 11 points. Justin Timberlake performed his new single during the interval of the show.